The Household Fish Raising Manual is prepared in cooperation with the Ministry of Education, Youth and Sport and VVOB. 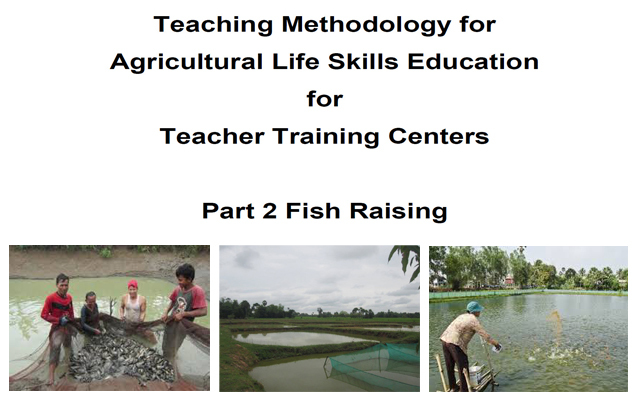 This book is prepared in order to explain about fish raising techniques using natural methods. It covers theories and practices in each lesson. The book will make fish raising easier and it requires less money, furthermore it is promoting quality of health and environment education in our country. 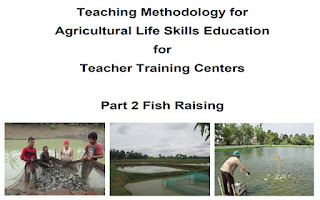 Even though agriculture experts provided technical assistance and materials and a big effort was made to do research of relating documents for this manual, the content may not be complete for teachers to teach their students. However, this manual is a guide for teachers to do more research and prepare lesson plans to fit the actual needs. We hope that this document will enable teachers to prepare teaching materials more effectively. We look forward to seeing your constructive comments and suggestions.